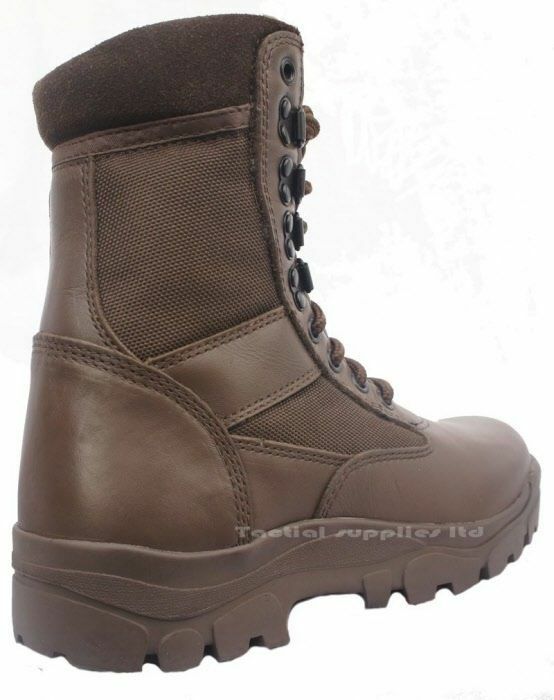 Brown G Force Assault Cadet boots. 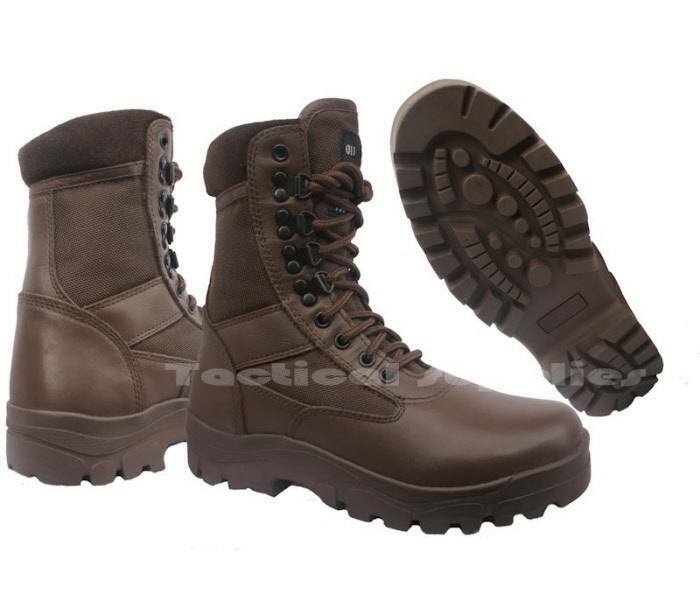 This is a superb Brown cadet boot for the Army cadets and air cadets. It has a padded collar for comfort, special lining,quick lace up, rubber sole unit and steel shank to give added support. 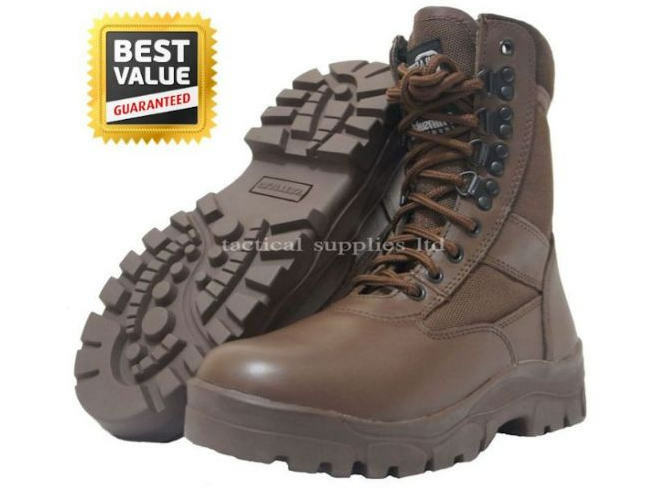 The full grain leather will give good service and will be easy to polish.The Grafters Cadet Boot Brown is a superb lightweight leather with nylon sides in the Mod Brown.This is a great boot for cadets or for that matter anyone wanting a quality military brown boot at a price that will not break you. Designed and made with the military and cadets in mind.It comes with water-resistant side panels and has a lining to wick away vapour from your feet. This is a great feature and found in more expensive boots. This boot is one of the more popular versions due to the cost and features in the footwear. Brown full-grain leather with a breathable nylon side. Special lining with and wicking insole. Rubber sole and a steel shank.